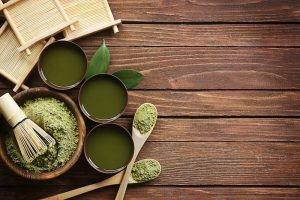 Many of you know already that consuming matcha green tea yields many benefits. What you may not know, however, is that you aren’t really forced to drink it to take full advantage of its healing properties. We baked a matcha tea cake the last weekend, and now we’re so excited to finally share its recipe with you all. If you’re looking for some healthy cakes to bake, you’re in the clear with this one. But don’t forget about the fact that while it is indeed healthy, that doesn’t mean that it’s a diet, low fat cake. 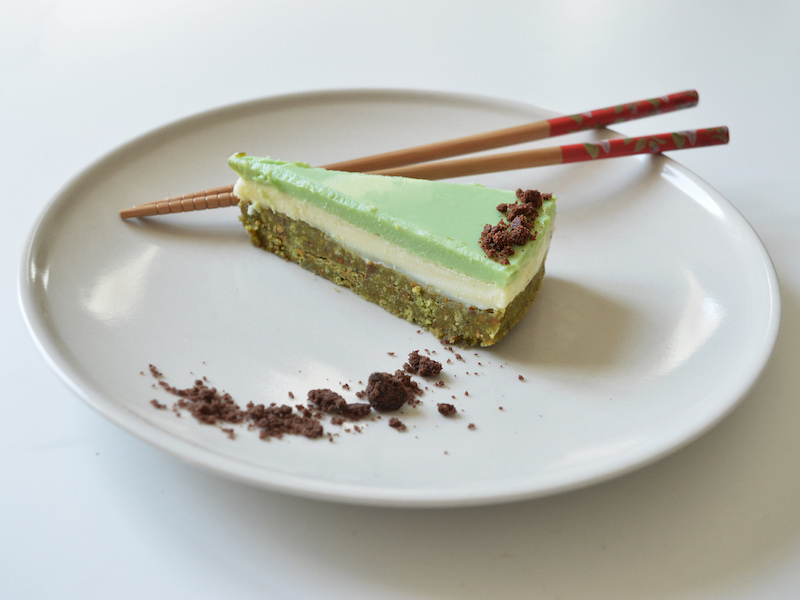 Our matcha tea cake baking process follows roughly the one of a common cheesecake. For the crust, you want to mix everything but 40g of butter and leave the result closed in a transparent film in the fridge. After one hour, take it out. Now, lay down the crust until its height reaches evenly about 1 centimeter. You’re halfway there! Unique dishes like this can sometimes be a bit of a hassle to bake. But thankfully, this one isn not the case! Put the crust in the oven at 180° for 40 minutes. Once the time has passed, take it out and wait for a bit. At this time, you have to crumble what you have, add the remainder of the butter, and put everything in a pie pan of your liking. Flatten once again, and leave it in the fridge for 4 hours. In the meanwhile you can start working on the filling. The gelatin leaves must be put in a cup of water, while the white chocolate needs to be melted. Once you’ve done that put everything (besides the matcha tea) in the pan where you’re already heating the cream. Stir until the ingredients are well mixed and then, separate the liquid in two even parts. To one of the two halves, add the 2 matcha tea tablespoons. The mix should become light green. Put the white mix on top of the crust and leave it in the freezer for 15 to 20 minutes. At last, add the green half and let the cake rest in the fridge for a whole night. You’ve done it! This matcha tea cake is not only delicious, it has in fact all the matcha green tea benefits! The cake is, therefore, very high in antioxidants meaning that it can fight off all the negative effects that UV radiations have on your skin. 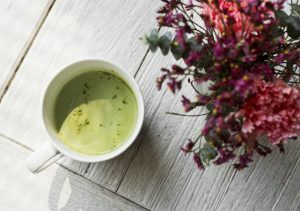 Matcha tea also has the amino acid L-Theanine. Which means that if you consume enough of it, your bran will produce alpha waves inducing deep relaxation. This product is simply phenomenal. Other benefits are that it’s a natural remedy for memory loss and that it can increase energy levels and endurance. It’s all due to the high concentration of L-Theanine. As a matter of fact, a generous cup of the tea can contain up to 20-25 mg of it. The healthy effects do not stop here. But instead of making you read any further, we’d be much happier if you could just go in the kitchen and bake the actual cake! If you were looking for unique dishes ideas, then we really think we’ve nailed it! It’s high in antioxidants, too. So it’s even good for yourself assuming that you’ll manage to just eat one slice at a time.